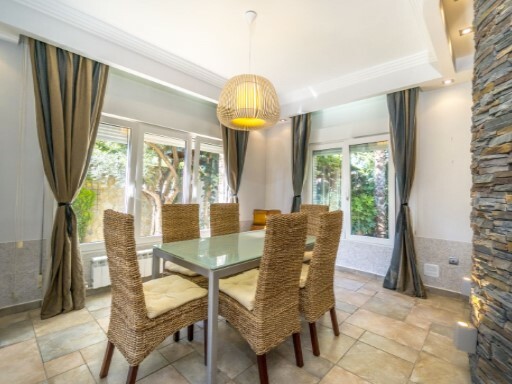 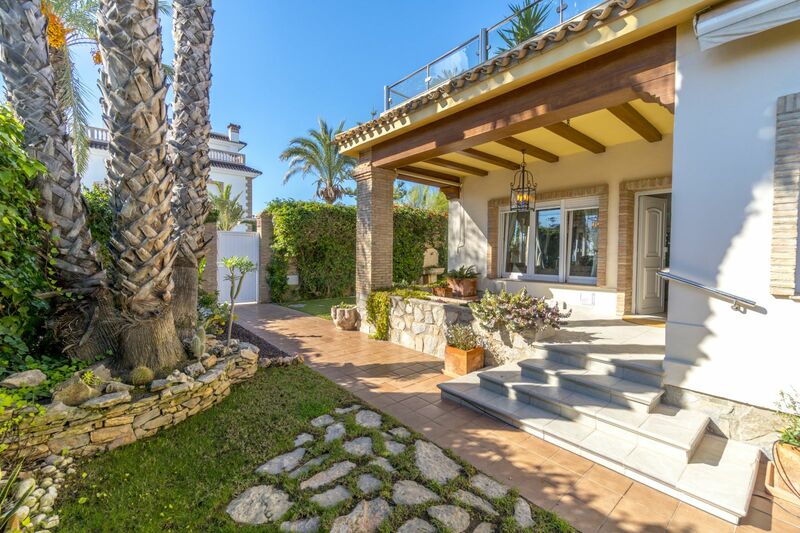 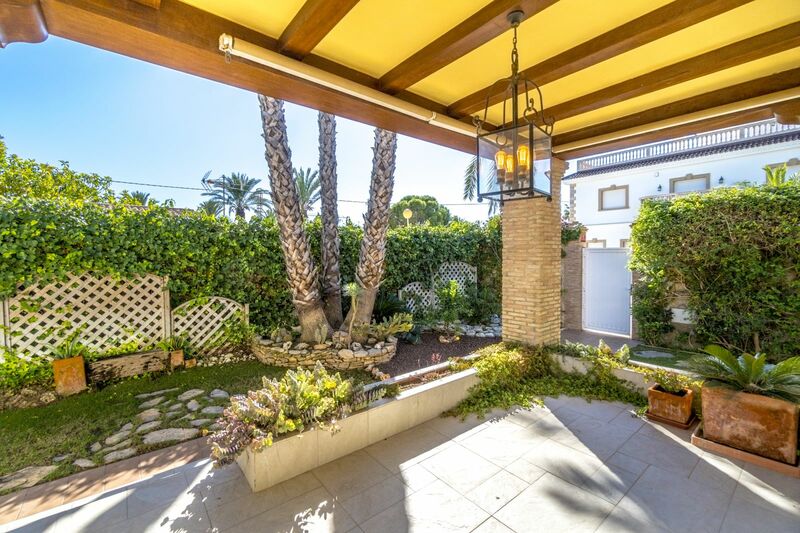 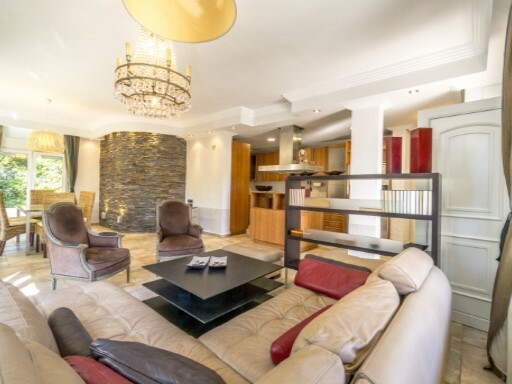 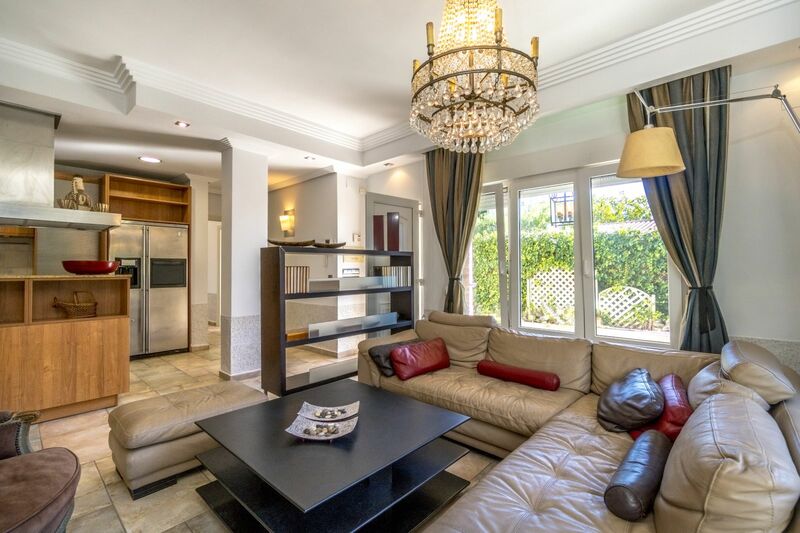 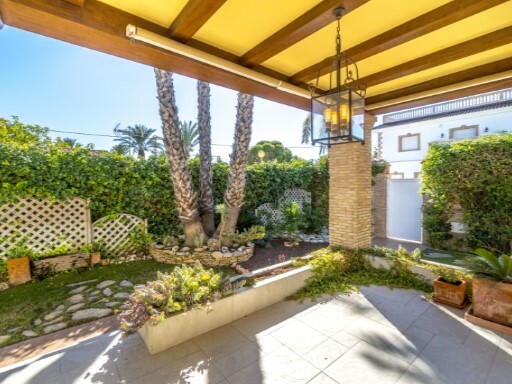 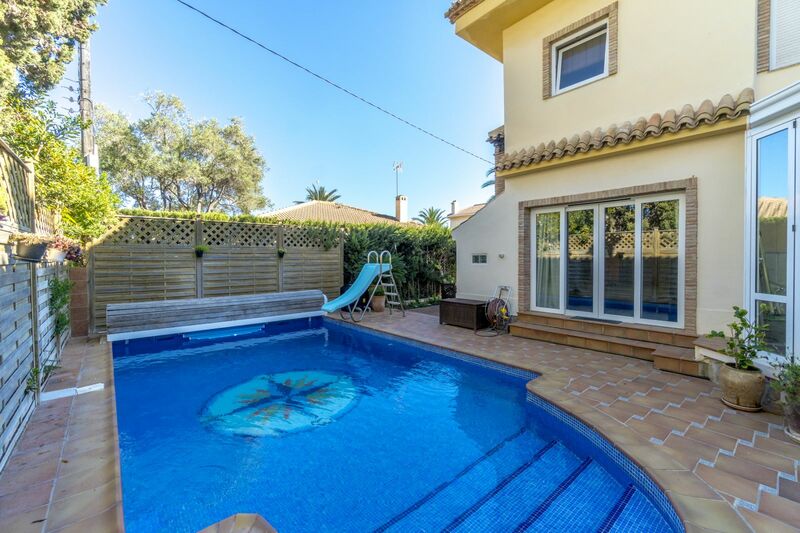 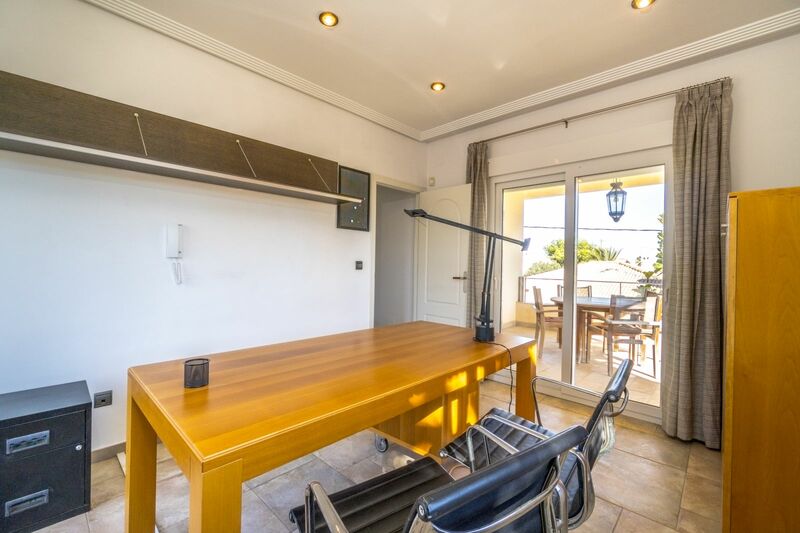 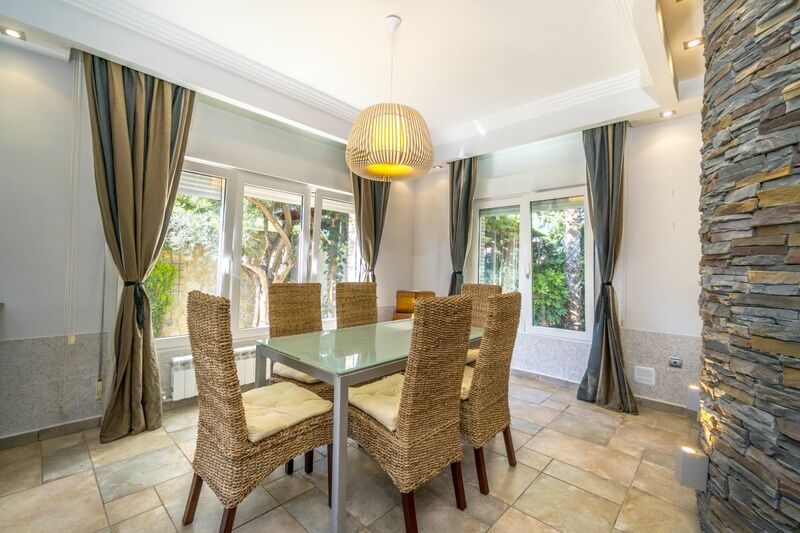 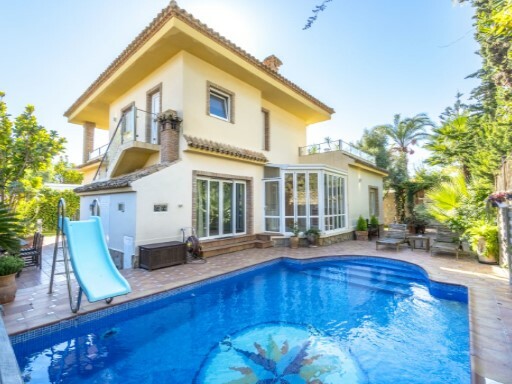 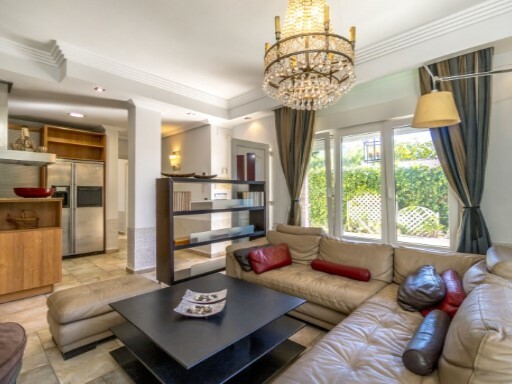 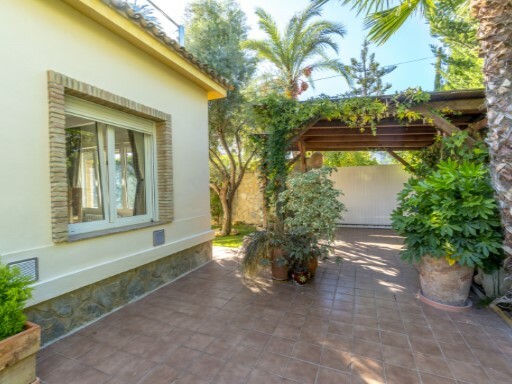 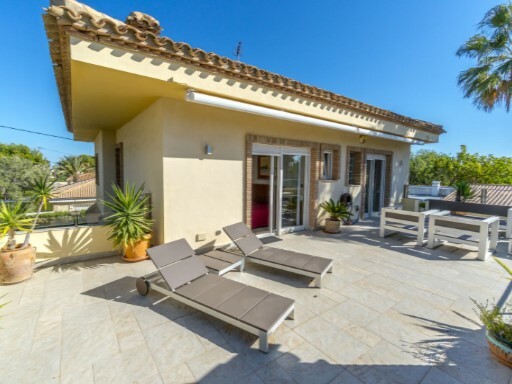 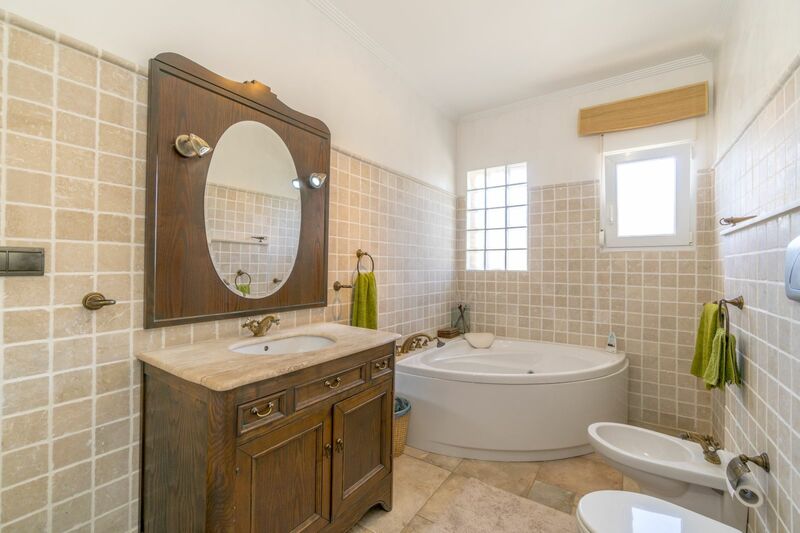 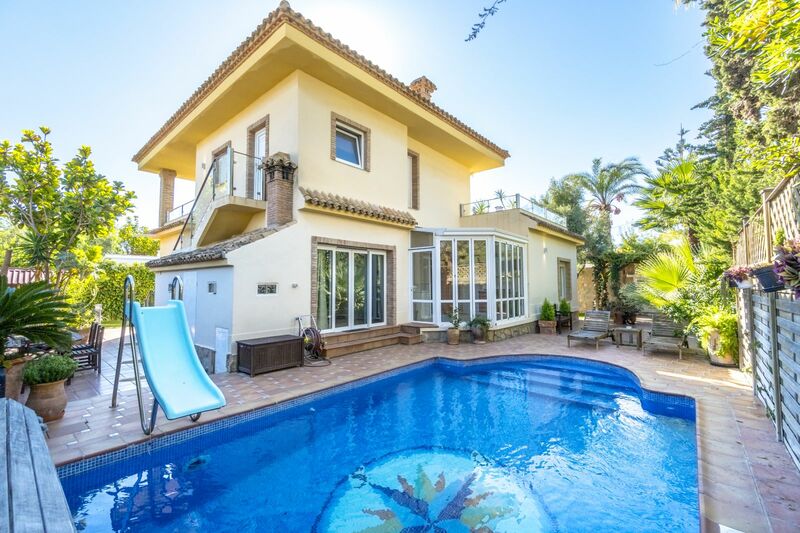 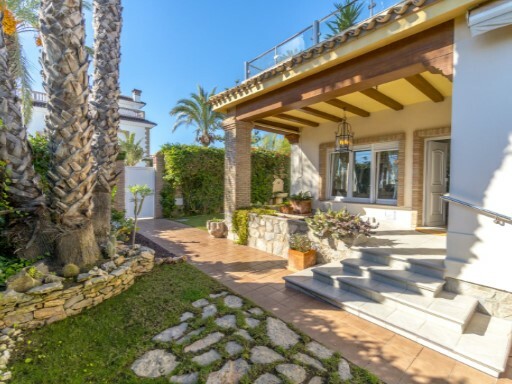 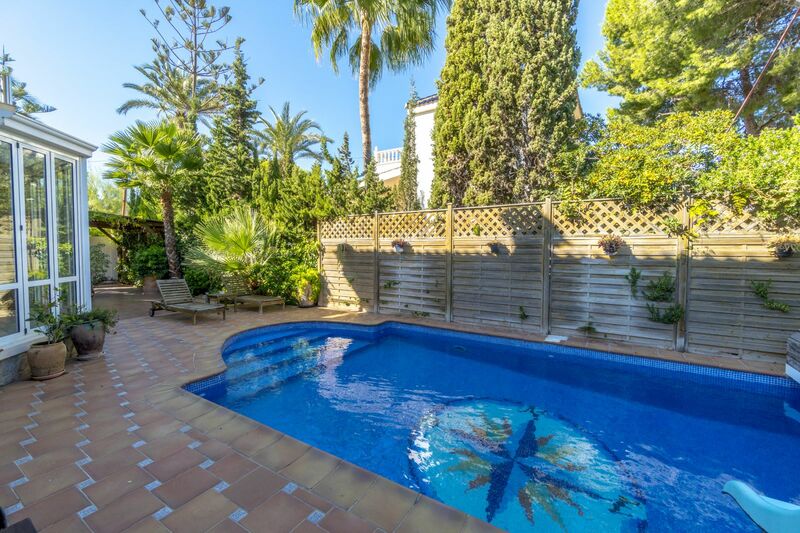 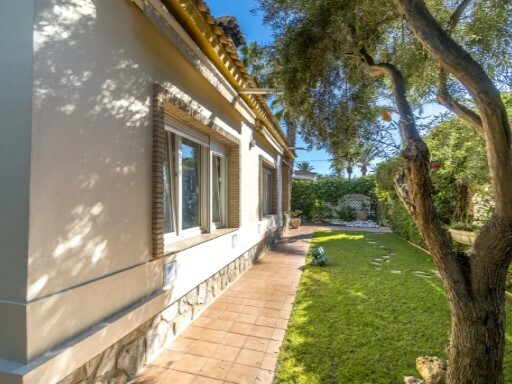 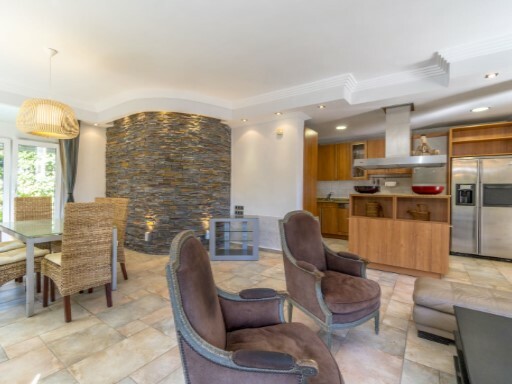 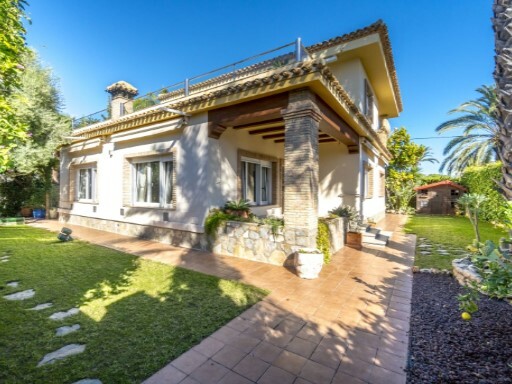 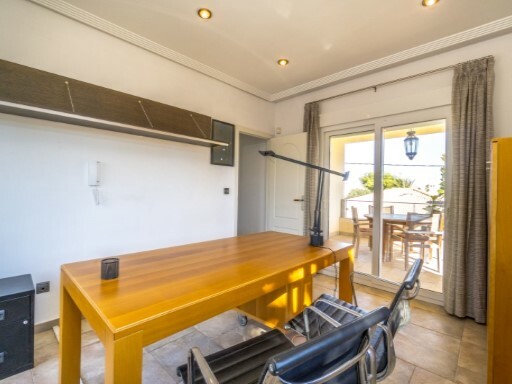 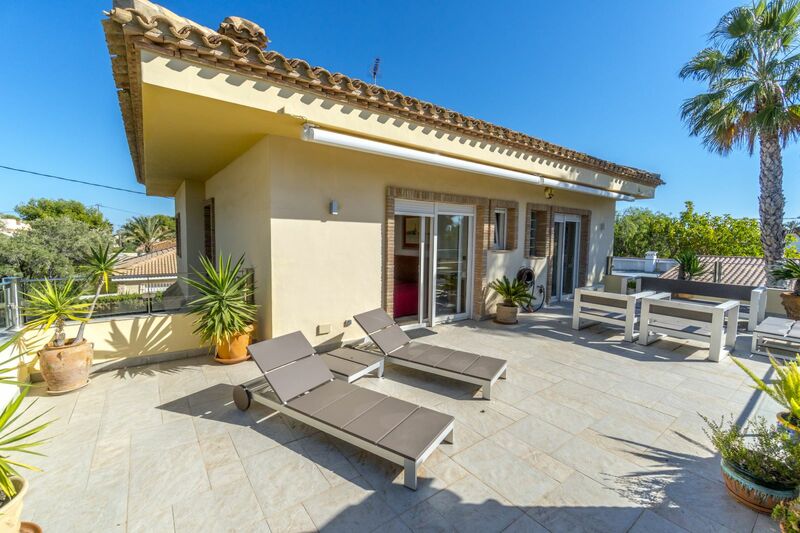 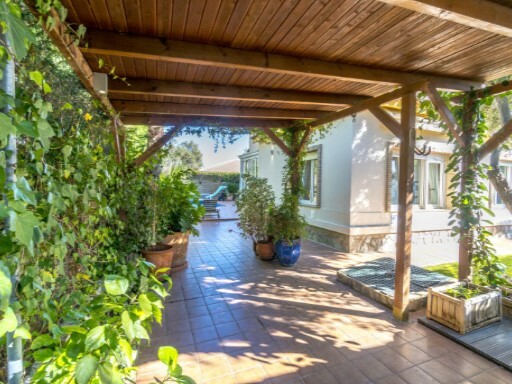 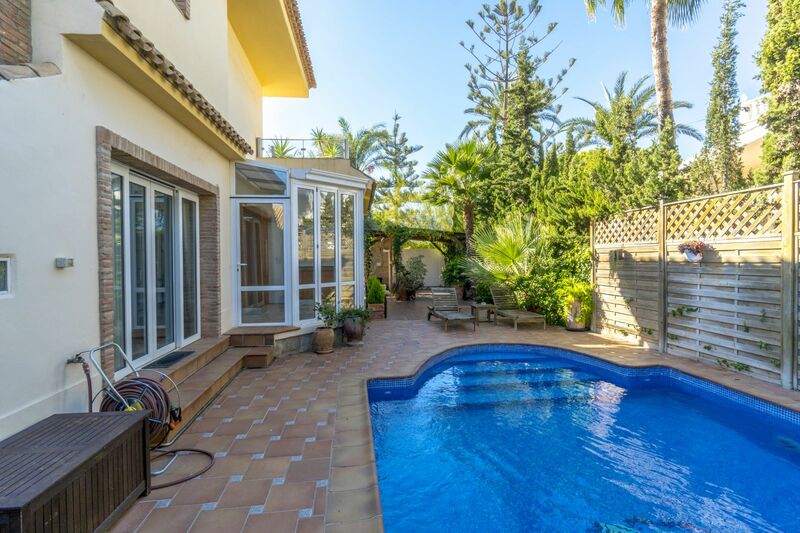 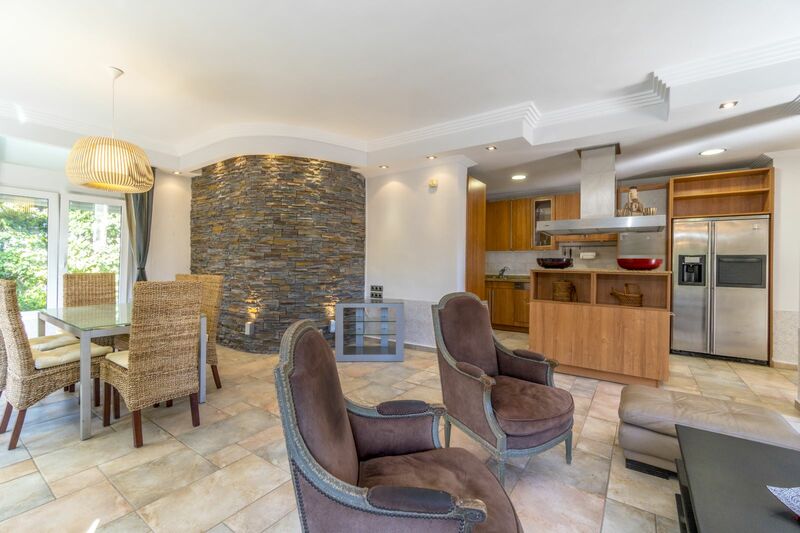 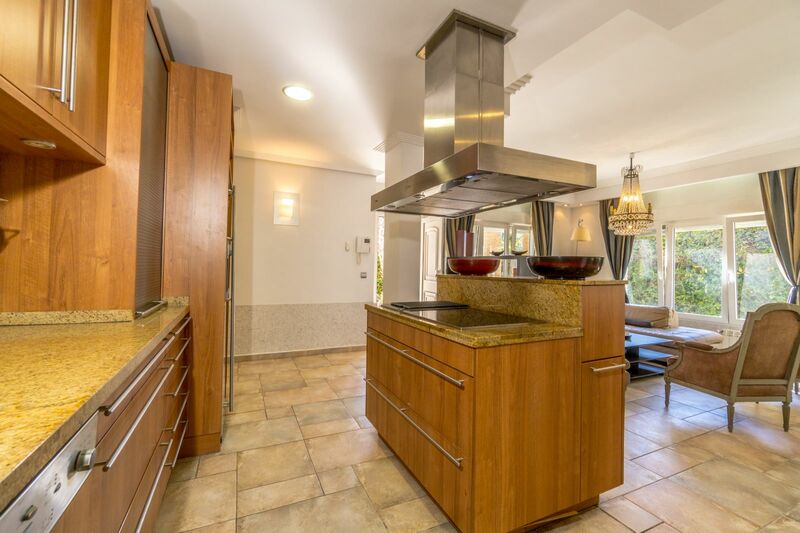 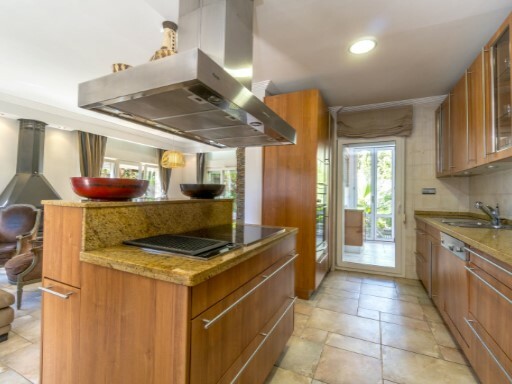 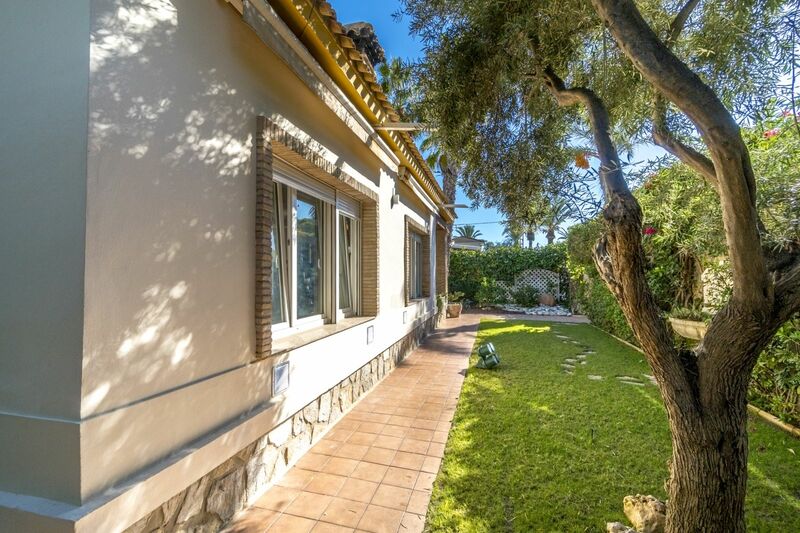 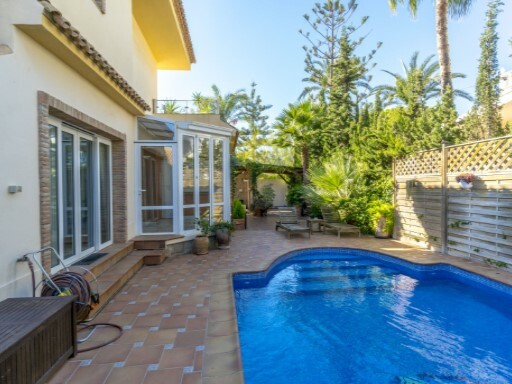 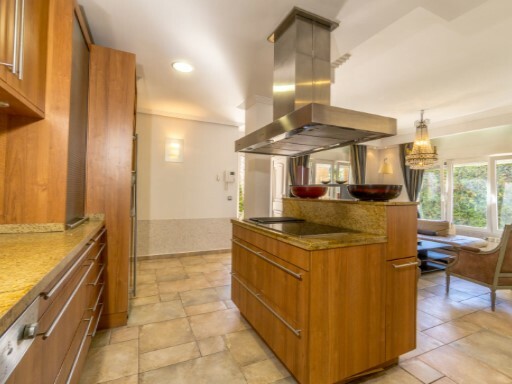 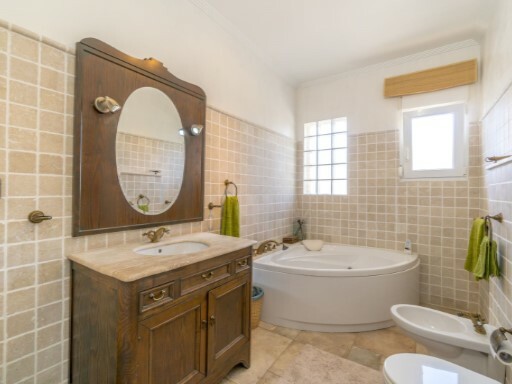 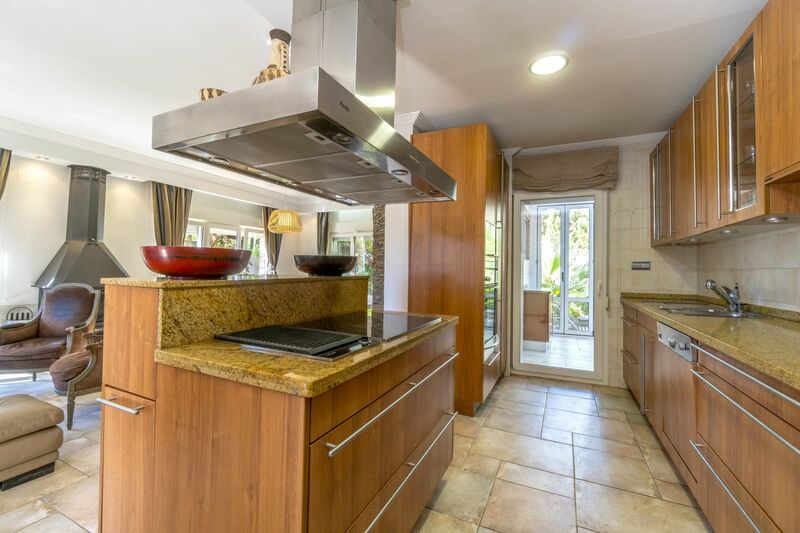 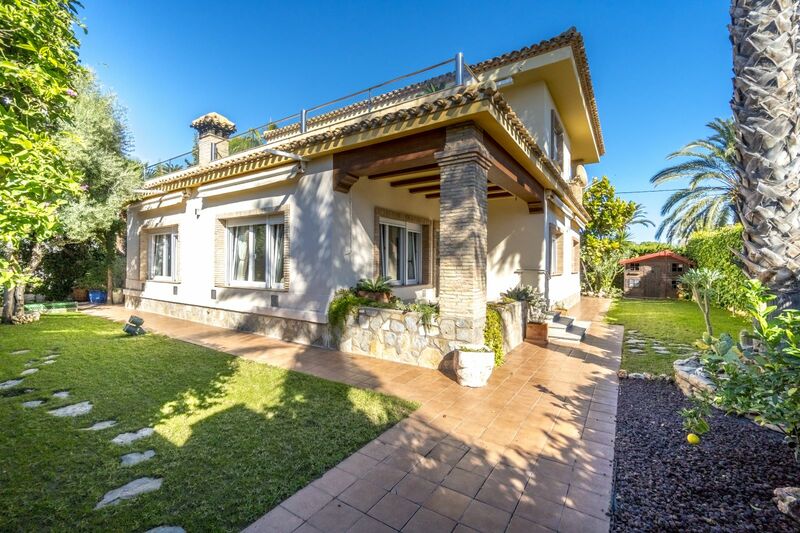 Fantastic 6 bedroom villa in Cabo Roig, Orihuela Costa. 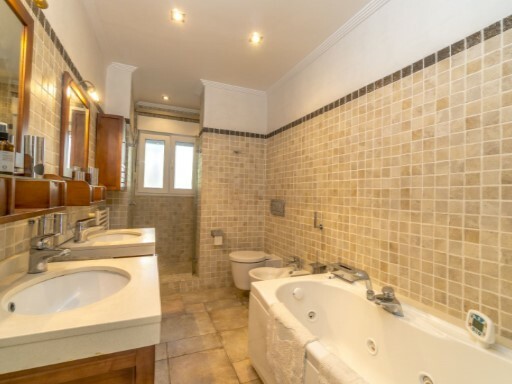 The house consists of 6 bedrooms, 2 bathrooms and 1 toilet distributed in 2 floors. 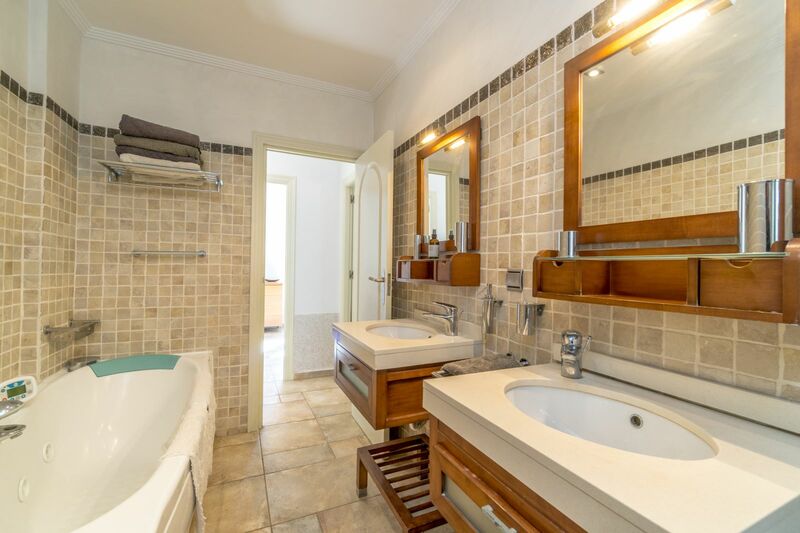 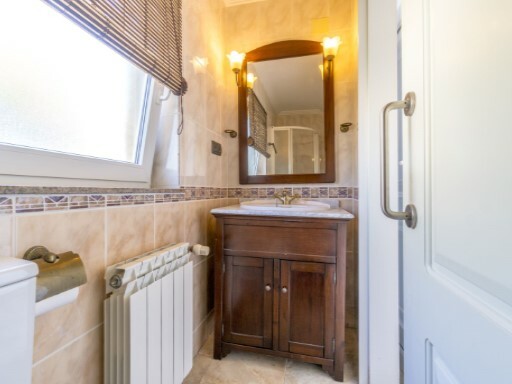 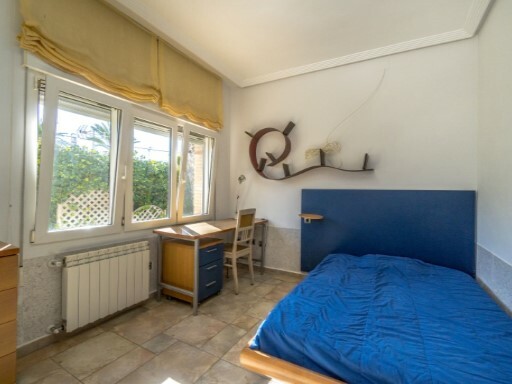 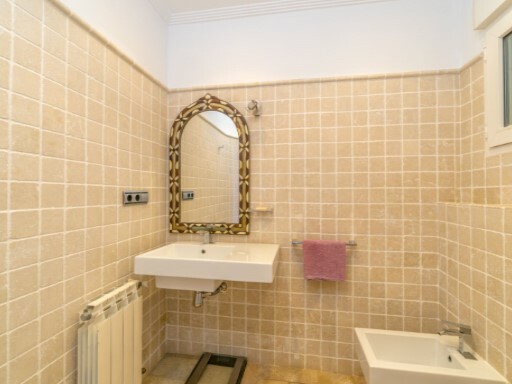 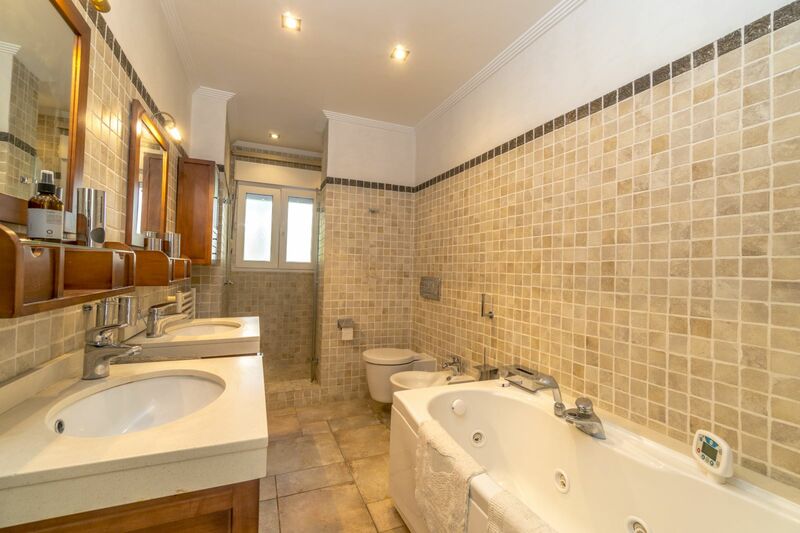 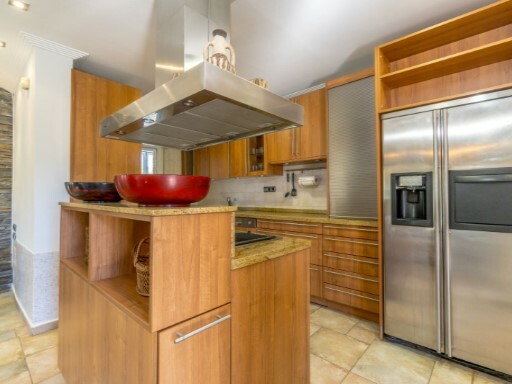 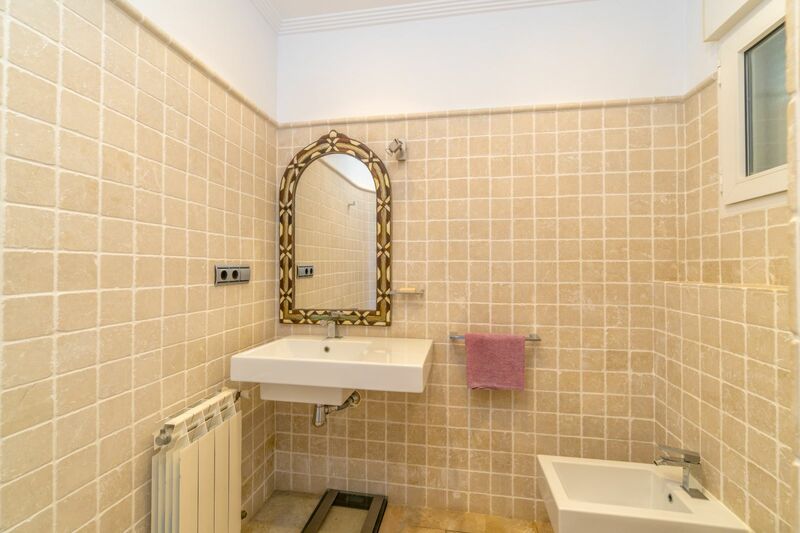 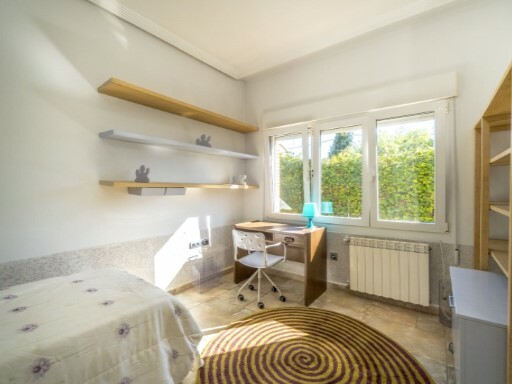 On the ground floor we find 3 bedrooms, 1 bathroom plus 1 toilet and on the upper floor 3 bedrooms and 1 bathroom. 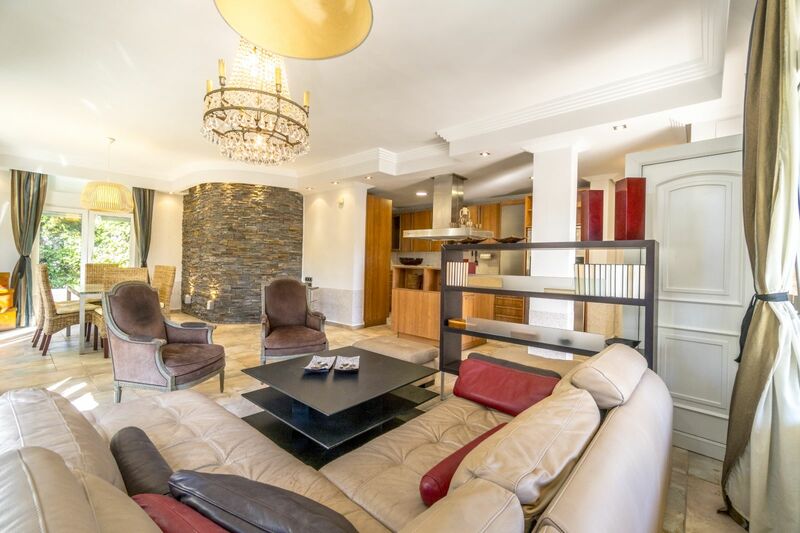 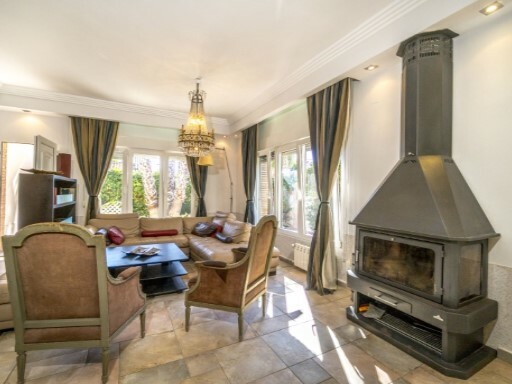 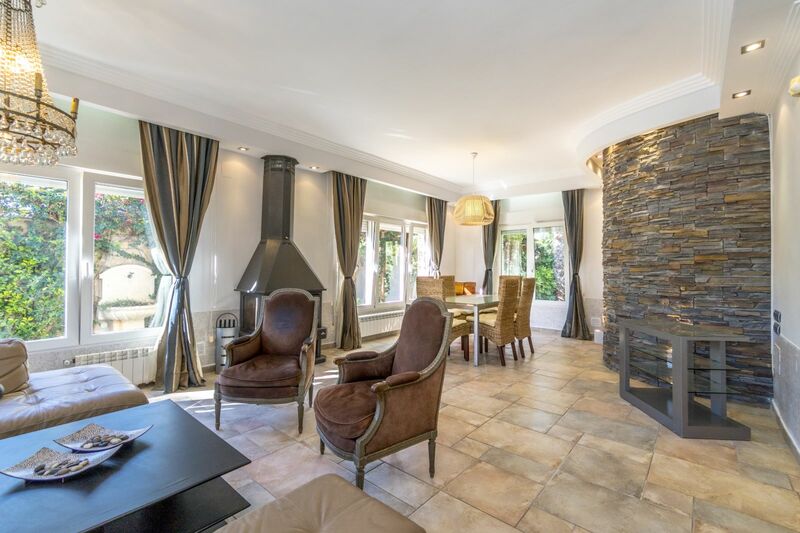 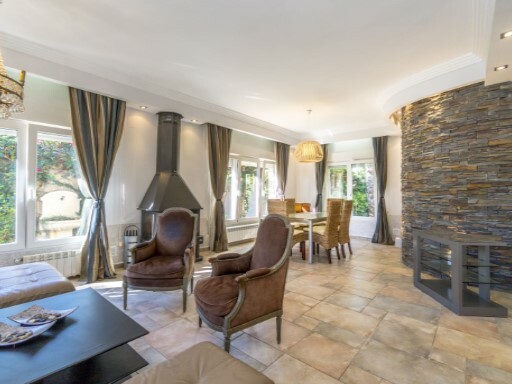 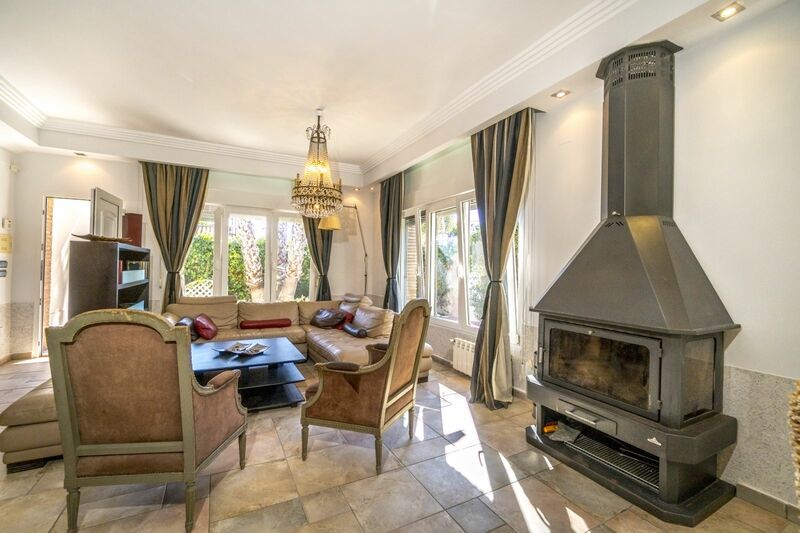 It also has a spacious living room with fireplace, kitchen, gallery, office and 2 terraces. 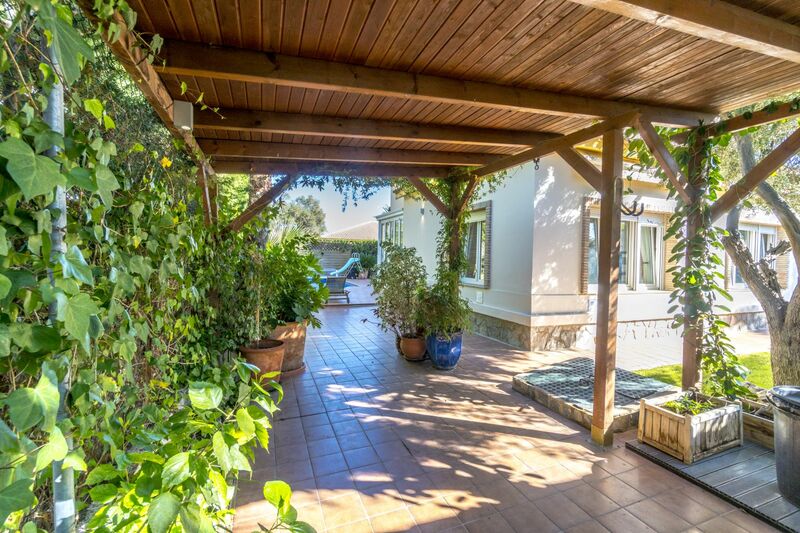 The exterior has a garden with natural grass and trees with a small storage room and pergola for a car, as well as a private heated pool. 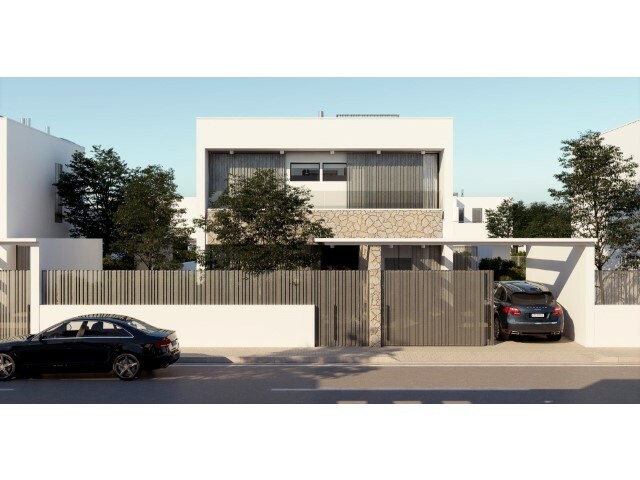 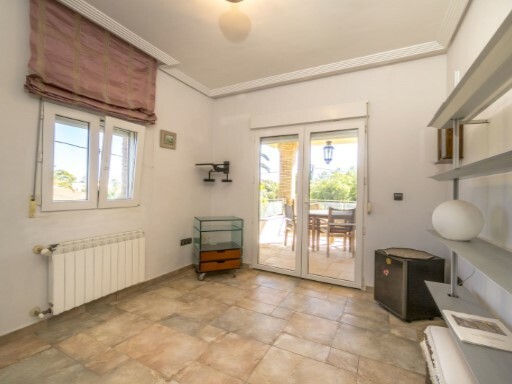 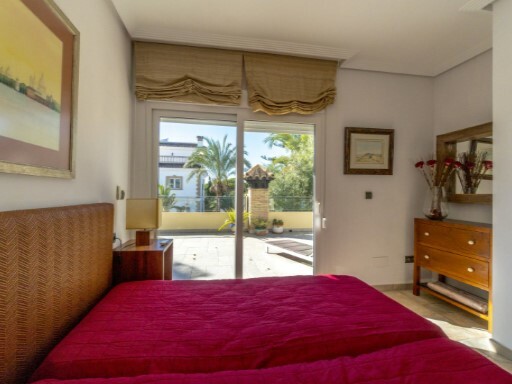 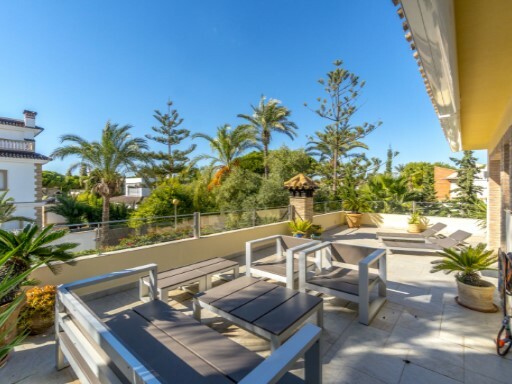 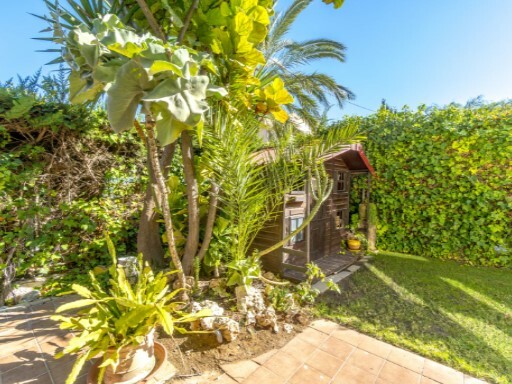 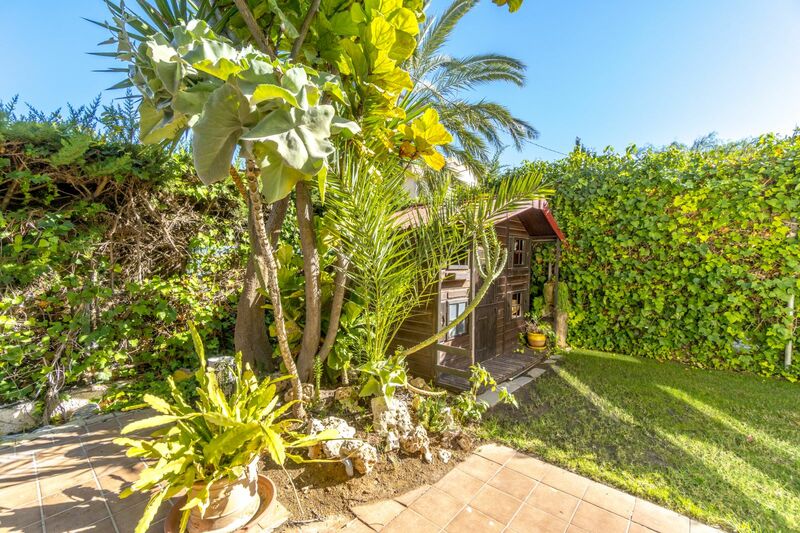 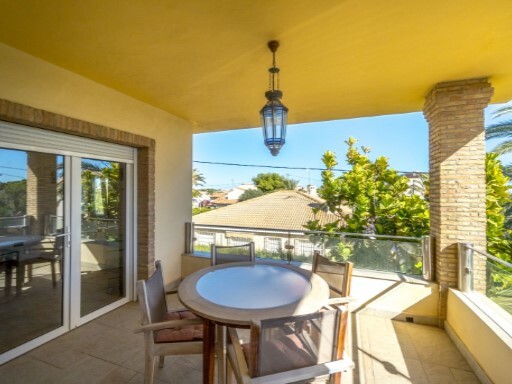 Cabo Roig is one of the best areas, is characterized by the residential area of independent chalets with a short distance from the beaches of Levante. 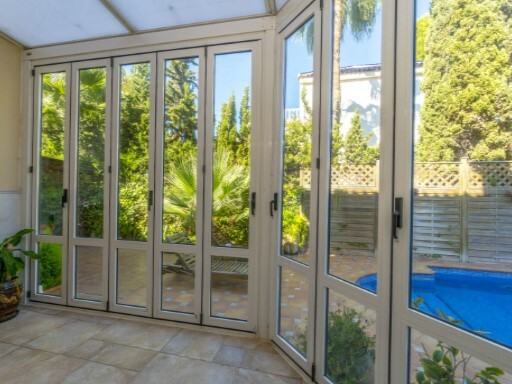 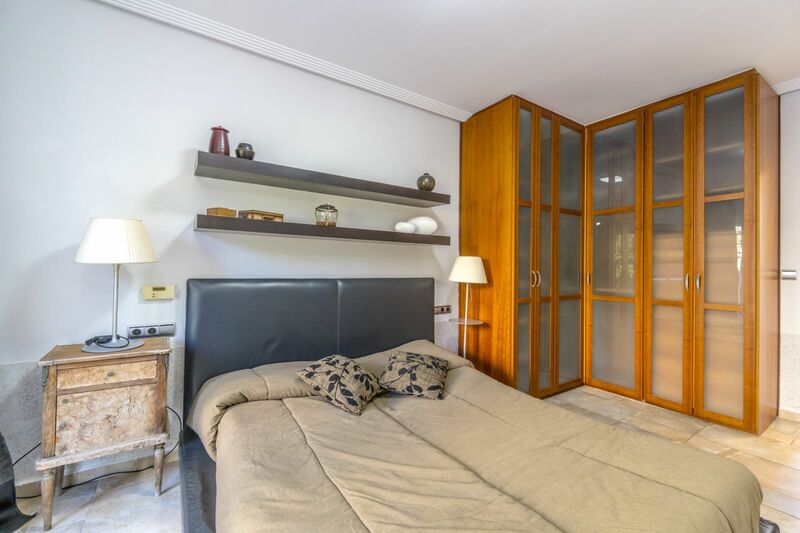 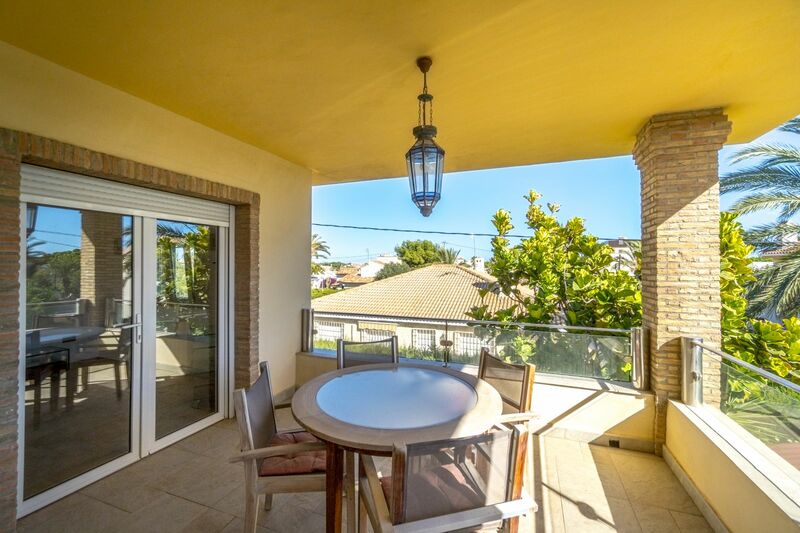 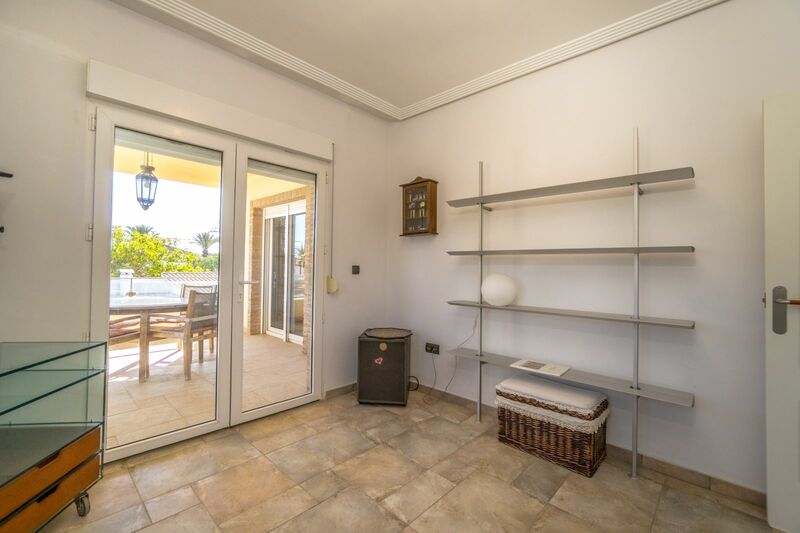 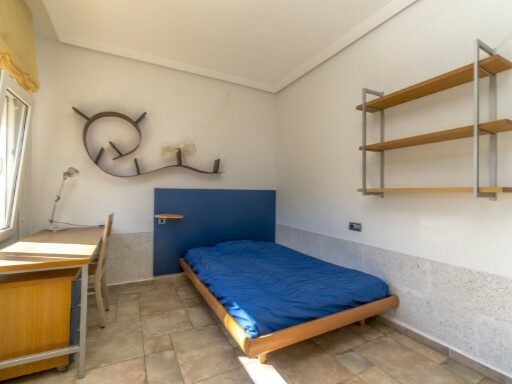 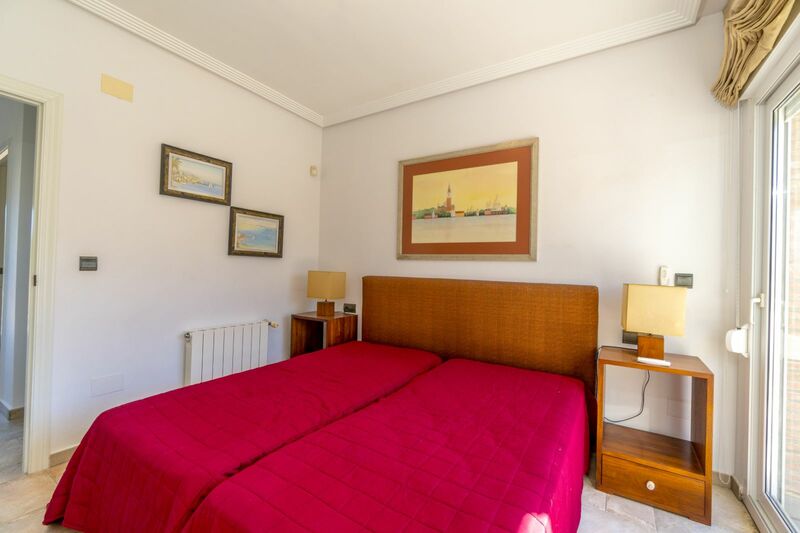 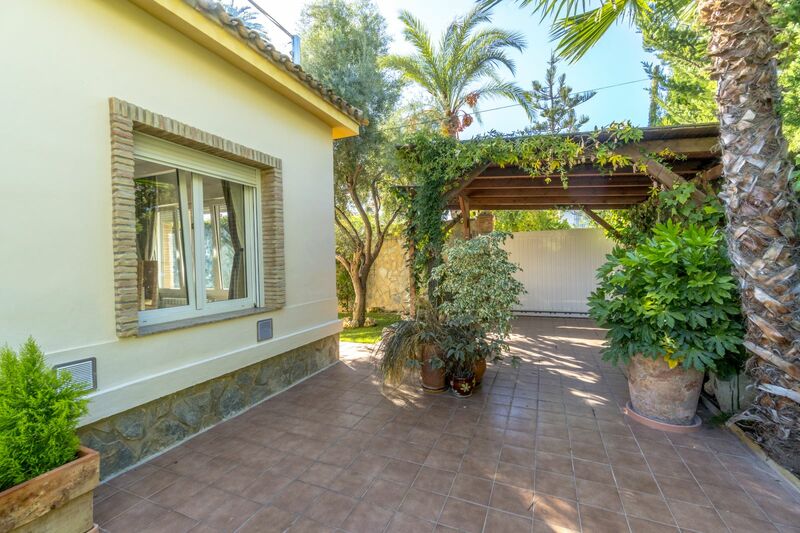 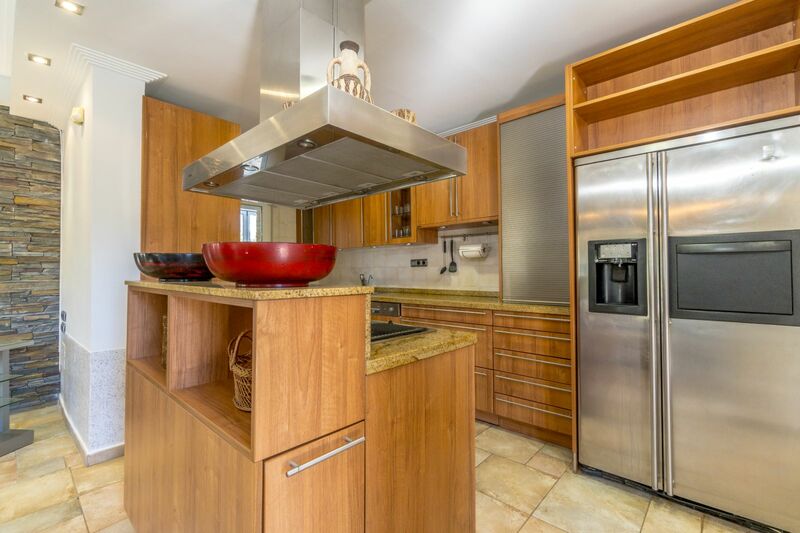 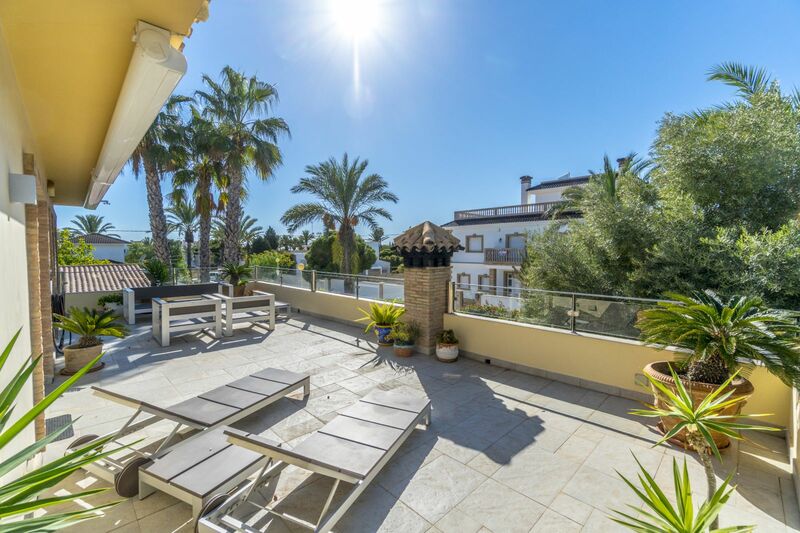 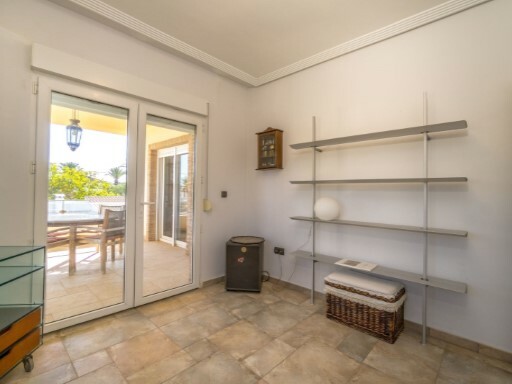 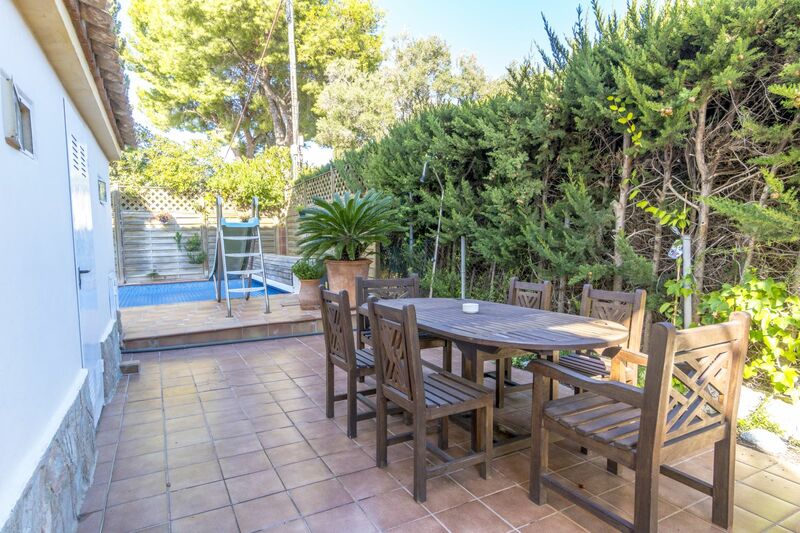 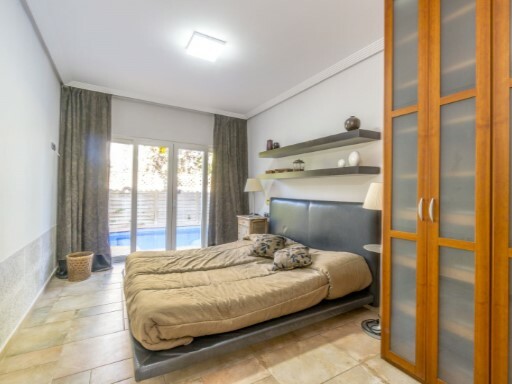 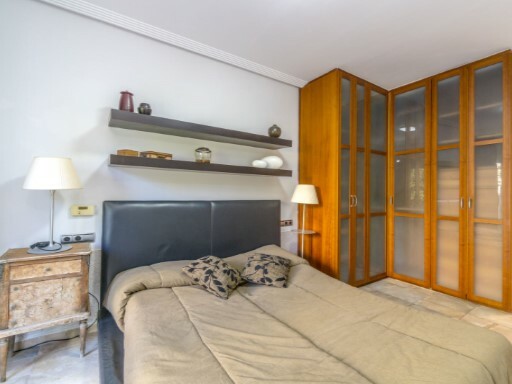 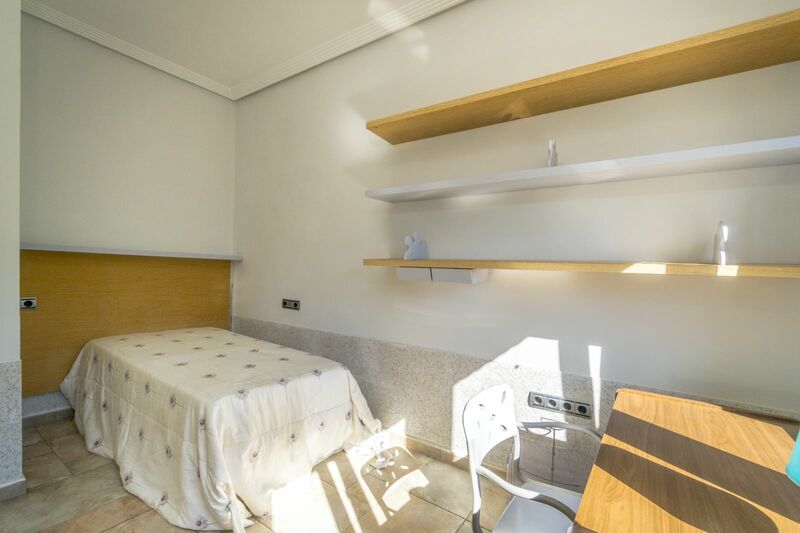 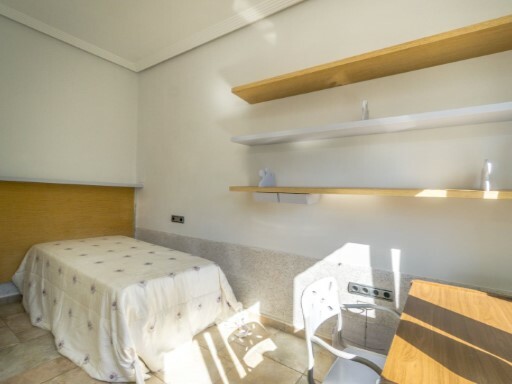 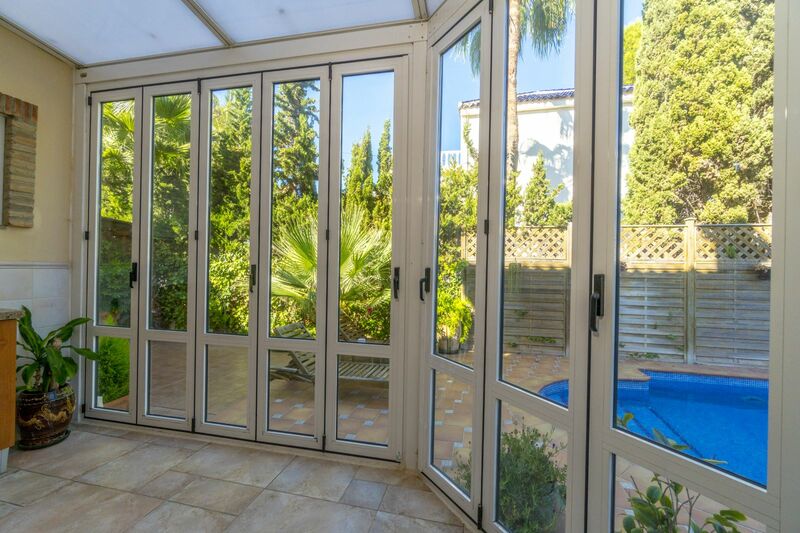 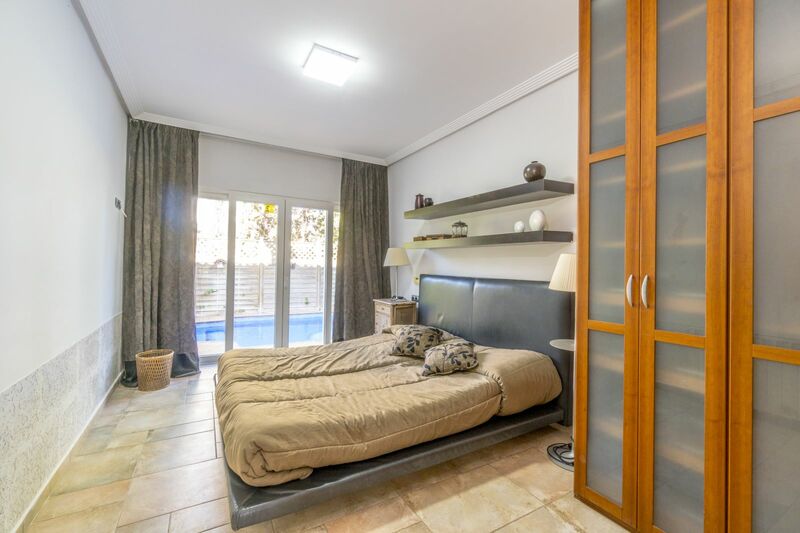 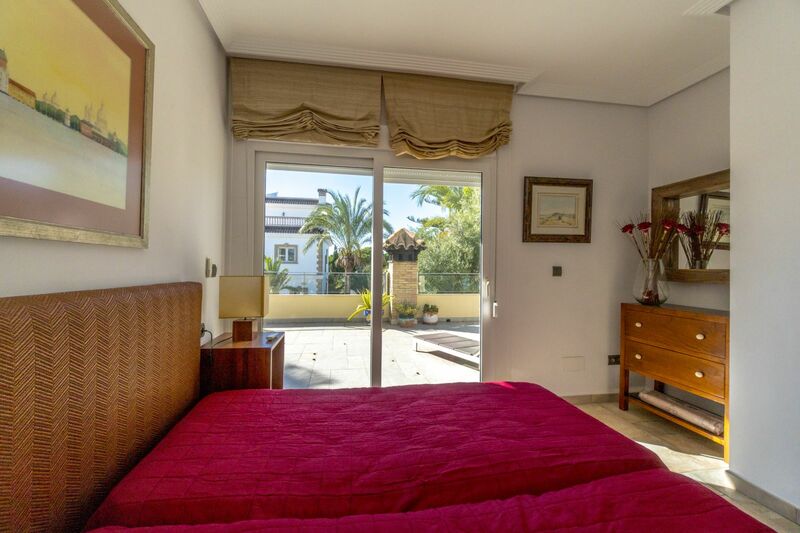 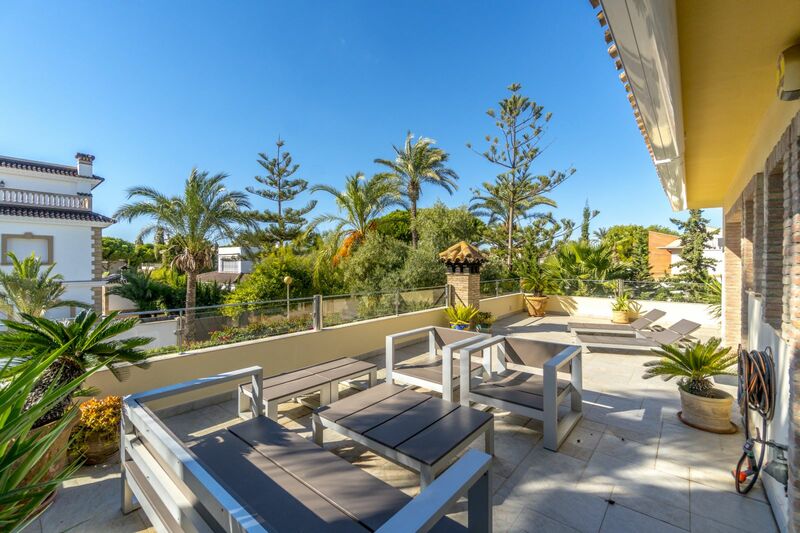 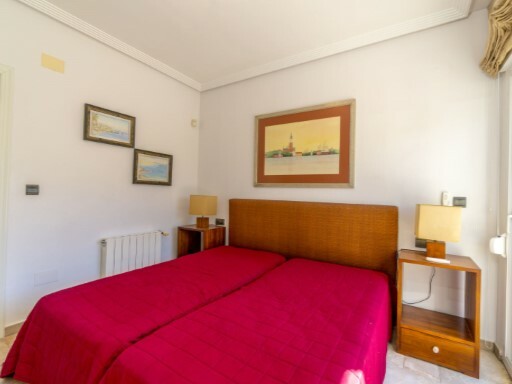 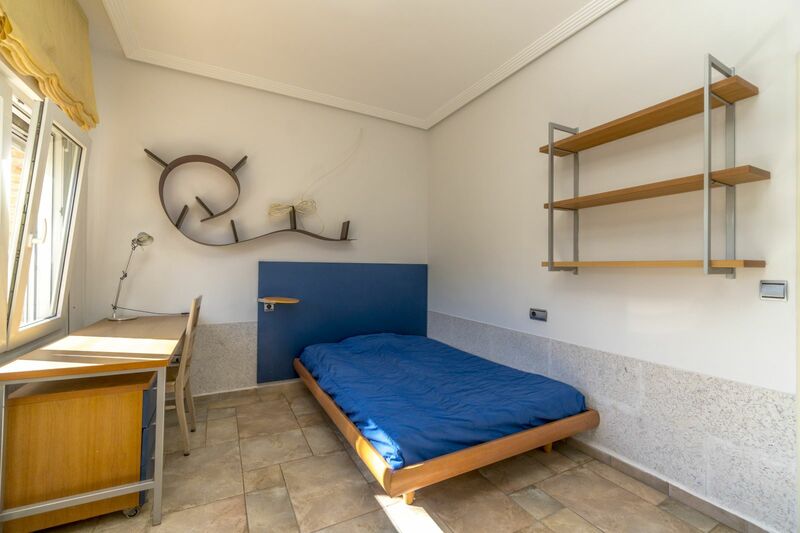 Close to Cabo Roig, Campoamor and Playa Flamenca, close to all amenities and the famous shopping center, La Zenia Boulevard. 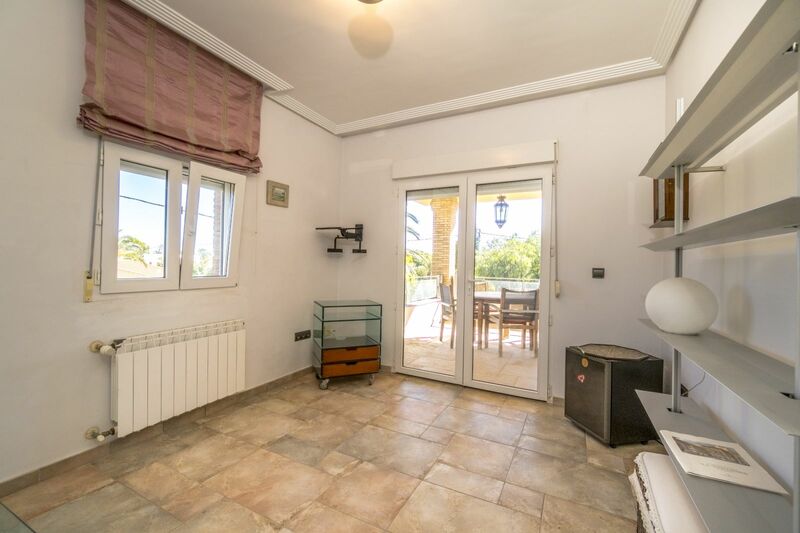 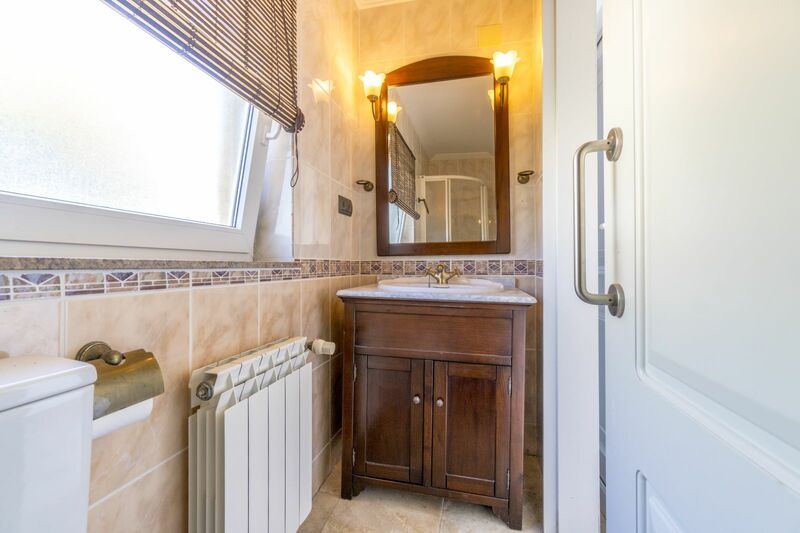 A few minutes from the N-332 and the AP-7 Mediterranean motorway towards Alicante and Cartagena. 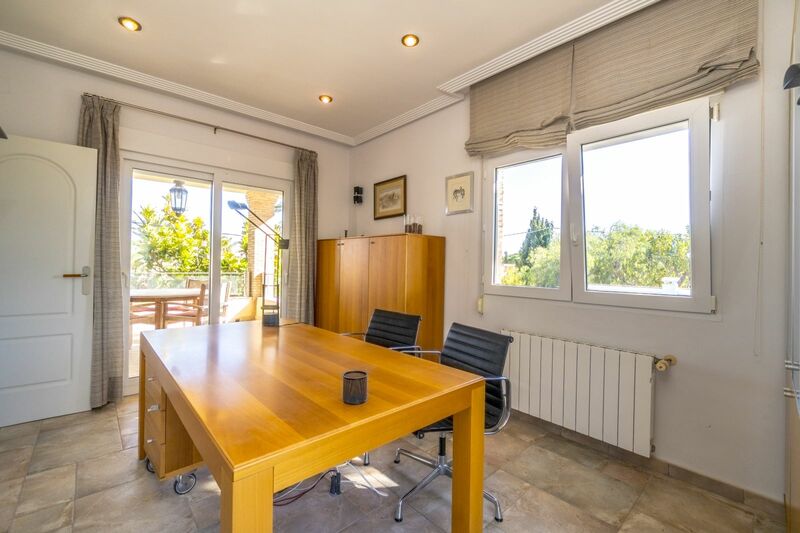 Also the golf courses of Villamartin, Las Ramblas, Campoamor and Las Colinas.